Puerto Vallarta has no shortage of gorgeous beaches with stunning seaside vistas and incredible marine life. Read on to discover Puerto Vallarta's best beaches! Puerto Vallarta and its surrounding areas are home to some of the most spectacular beaches on the planet. Travelers in search of stunning seaside vistas, amazing marine life, tucked-away coastal towns, and oceanic adventures of all kinds will find no shortage of these things and more at the beaches in and around Puerto Vallarta. In this guide, our travel experts here at Vallarta Adventures cover the best of the best beaches in Puerto Vallarta. Read on to learn more and book your next Puerto Vallarta beach adventure with our award-winning tour team today! No Puerto Vallarta beach list is complete without Las Caletas. Once the private home of famed Hollywood director John Huston (The Maltese Falcon, The Asphalt Jungle, The Misfits, and many more), Las Caletas has since been opened up to the public and has become a favorite coastal destination for travelers the world over. Las Caletas is commonly considered to be the best of the best Puerto Vallarta beaches due to its pristine sands, tucked-away tropical environment, and amazing marine wildlife. Like many of the best Puerto Vallarta beaches, Las Caletas is accessible only by boat. This has helped keep free of over-development and large crowds. At Las Caletas, visitors can enjoy beachside hammocks, drinks and snacks, hillside hikes, and a host of marine activities — including swimming, paddle boarding, scuba diving, and more — in the calm Las Caletas waters mere feet from shore. Check out our Las Caletas Beach Hideaway experience here at Vallarta Adventures to learn more about our exclusive tour to this enchanted beach. Many travelers come to Puerto Vallarta to escape the hustle and bustle of urban life. For some, the town of Puerto Vallarta and its adjacent beaches are still a little too local. For a truly tucked-away beach experience, we recommend visiting the Marieta Islands located at the mouth of the Bay of Banderas. Uninhabited by humans and accessible only by boat, these islands are home to some of the most pristine hidden beaches in all of Mexico. On our Marieta Islands Hidden Beach experience here at Vallarta Adventures, you’ll get the chance to tour these amazing hidden beaches and enjoying swimming, sunbathing, snorkeling, and more! Last on our list of the best beaches in Puerto Vallarta are two nearby oceanic getaways that epitomize coastal paradise. 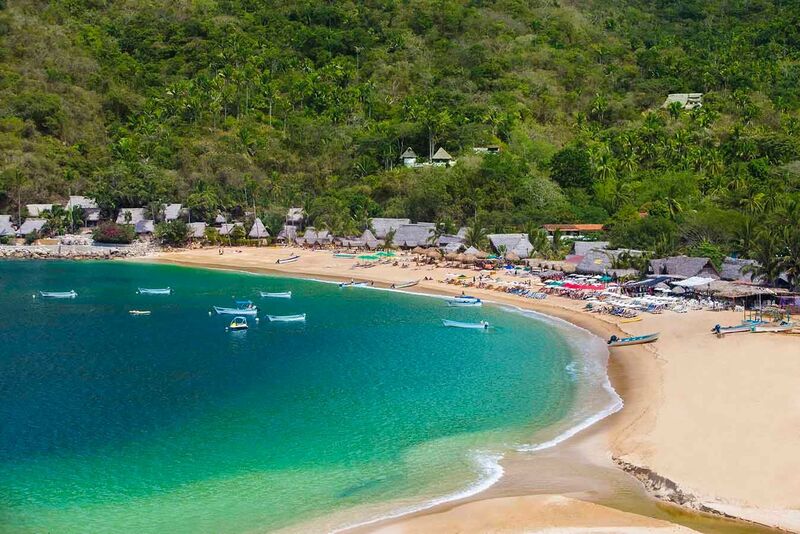 The first, Yelapa, is located on the southern side of the Bay of Banderas. Accessible only by boat, Yelapa is situated in a cozy cove and home to a pristine beach and adjacent town virtually untouched by outside development. At Yelapa, travelers can enjoy the calm waters of the Bay of Banderas while sampling delicious, authentic Mexican seafood from local shops that do it best. Just up the coast from Yelapa, Majahuitas offers another excellent beach option for travelers looking to take in the sun and sea. Like Yelapa, the beach at Majahuitas is situated in a cove that is only accessible by boat. This has prevented major development from coming into the area and keeps the crowds relatively thin on a daily basis. Majahuitas' name comes from "Majahua" (Hibiscus pernambucensis: the Seaside Mahoe), a local tree with large leaves that grows on the beaches in the region. Majahuitas is also home to a stunning array of marine wildlife, including sea cucumbers, parrot fish, pufferfish, damselfish, angelfish, trumpet fish, moray eels, manta rays, dolphins — and, during the winter months, humpback whales. 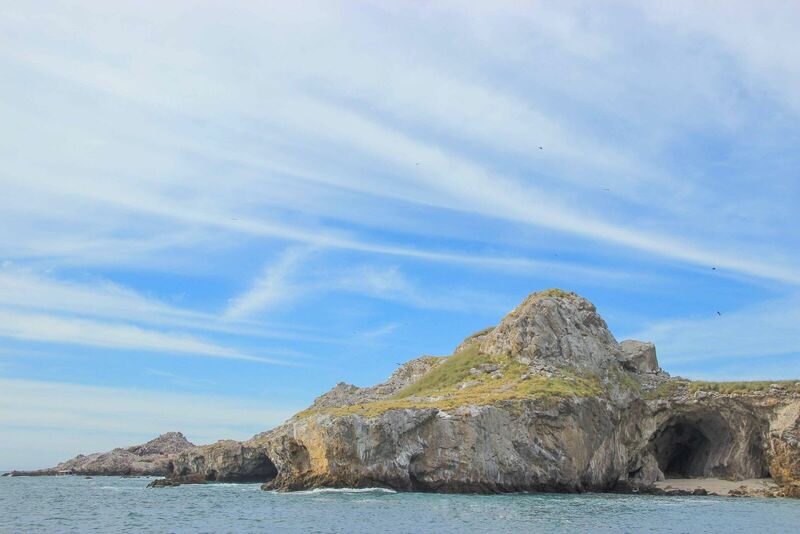 At both Majahuitas and Yelapa, visitors can enjoy hiking, sunbathing, swimming, and other marine activities. Visit both beaches in one day on our Yelapa and Majahuitas Beach Tour here at Vallarta Adventures! Want to learn more about the many amazing beaches near Puerto Vallarta? Ready to book your next beach excursion? We’ve got you covered. Explore our website to learn more about the many beach tours offered exclusively by our team here at Vallarta Adventures, and contact us directly for general information and booking!